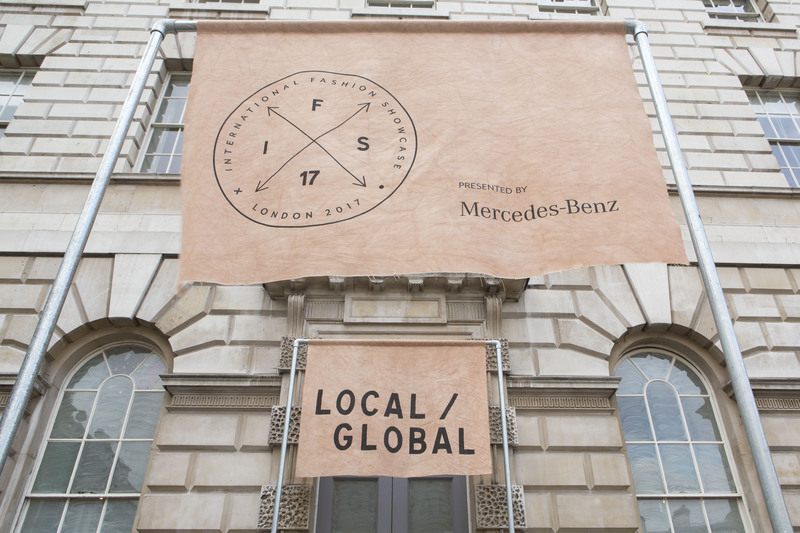 LONDON – 27 February 2017 – ‘100% Egyptian Cotton’, a fashion installation featuring Egypt’s best emerging designers, was for the second year part of the International Fashion Showcase 2017 presented by Mercedes-Benz. The exhibition was curated by Susan Sabet, who is the founder and editor-in-chief of Pashion Magazine, and one of the top 500 most influential people in the fashion industry according to the Business of Fashion. The exhibition was supported by British Council Egypt and Commercial International Bank – Egypt (CIB), the largest private sector bank in Egypt. Sahara by Shahira Fawzy provided the Egyptian cotton for the installation, designed by Egyptian interior design company Living In. Suzy Menkes, OBE, Sarah Mower and Hillary Alexander, OBE. The influential fashion journalists were extremely impressed with the installation and spoke to the six designers in depth. As the country’s leading private sector bank, CIB offers a broad range of products and services for institutions, households and high-net worth individuals through 180 branches across Egypt. In addition, CIB is the bank of choice for over 500 of Egypt’s largest corporations and has a designated platform catering to the needs of Small and Medium Enterprises.